To provide faster access to its most popular IHLP low profile, high current inductors, Vishay Intertechnology has launched alternative versions of its commercial style IHLP with shorter lead times of eight to ten weeks. 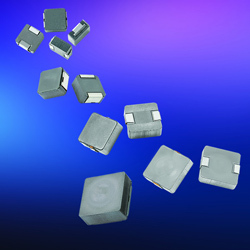 The devices provide designers choices to the company’s ten best-selling series of commercial, standard IHLP inductors that currently have extended lead times. Produced on separate, dedicated production lines, the device list comprises of over 100 inductor part numbers in 1616, 2020, 2525, and 4040 case sizes. These devices are aimed at commercial applications and are comparable in fit, form, and function to standard IHLP inductors but may show small deviation in datasheet parameters.